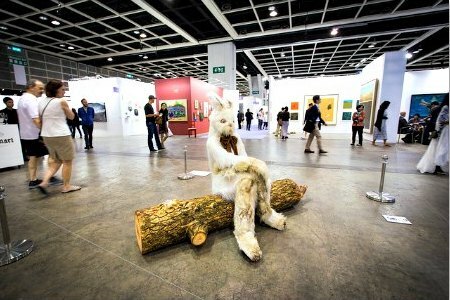 Art Basel Hong Kong will be bringing the art world together once again as galleries, artists, collectors and art enthusiasts from Asia and all over the world flock to this most prestigious of international art events. Recognised as the premier art event in Asia, this is where you get to see the latest developments in contemporary art from across Asia as well as the best from the West. Bringing every year a fresh mix of galleries from six continents featuring artwork by established as well as new-comer artists from across the globe, Art Basel has quickly carved its niche amongst art enthusiasts, exhibitors, collectors, curators and galleries worldwide. Art Basel capitalizes on the buouyant Asian art market in which China has overtaken the United Kingdom as the second biggest art market after the United States. For collectors, Art Basel Hong Kong is appealing not only for the chance to see a wide range of works in many genres including paintings, photography, film and video, sculptures, and more, and the fact that they come from a large and diverse cultural and geographical sphere, but also because in Hong Kong there is no tax on the import and export of art. 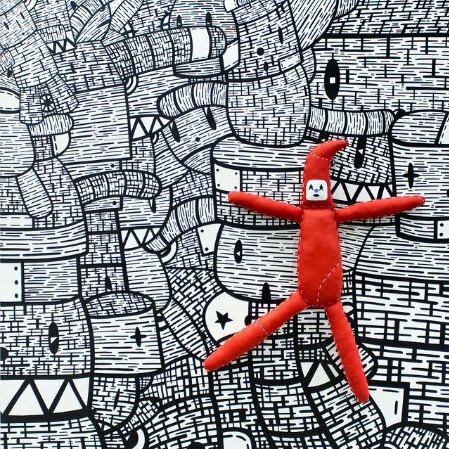 In addition there is "Conversations", a series of lectures and discussions by prominent members of the artworld. A highlight of the event has been ASIA ONE, where a number of galleries from across Asia exhibit a solo presentation by an artist of Asian origin, a fantastic platform to showcase and appreciate the Asian art scene. Another focal point worth following has been ART FUTURES, a section boasting exciting young galleries and the works of budding artists from around the world, with a winner selected by a panel of judges. 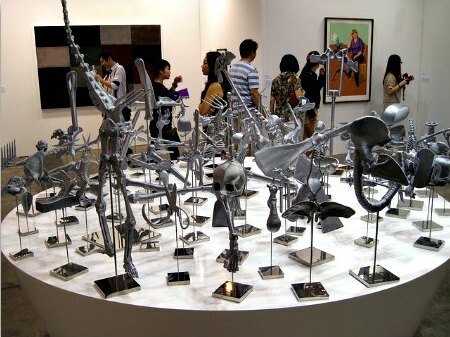 Then we have the Asia Contemporary Art Show, the largest in Asia in terms of the number of artworks offered for sale. If you are seriously thinking about acquiring a piece, this one is worth checking out with over 3,000 stunning works of art from Asia and beyond. All the works can be viewed, and bought, online at www.asiacontemporaryart.com, so even after the doors close at the Conrad Hotel in Central where it is held, the Show continues online, with new works being added every day. And coming back this year on its third edition, Art Central, is a new exciting art fair in Hong Kong's waterfront spawned by art fair veterans Tim Etchells and Sandy Angus, who founded the original Art HK who later became Art Basel. This new exhibition is housed in a purpose-built tent right on the city's new Central Harbourfront, a 10-minute walk from Art Basel. 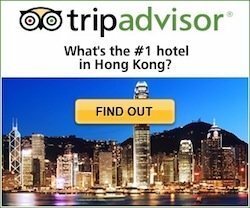 And if you want to learn more about Hong Kong's art scene, there are a number of art walks, some combine a bit of sightseeing, culture and/or food and are a great introduction. The SoHo art walk in particular will plunge you into the heart of the city's galleries, walking you through several stops in this art-brimming area. Guides are extremely knowledgeable and passionate, you will gain an insight into artwork valuation and auction secrets.